Ryuou Title Match between Ryuou Title Holder Moriuchi and Challenger 7-Dan Itodani has been in progress since yesterday in Hawaii. Ryuou is one of the two most important major titles. Another one is Meijin. The title match is played as a 7-game match, each game being played for two days. 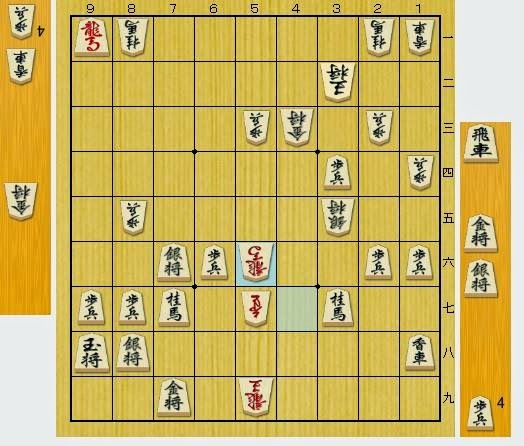 Sometimes it is held overseas with a view to spread of Shogi culture. Here was a critical moment in the endgame. Sacrificing pawn with ▲P*59 was the technique to prevent the rook on 49 from defending his own camp when △B-56+ afterwards. Continuing with △Rx+ ▲Lx32+ △Kx ▲S*88 △B-56+ (Diag.1), in this position, the promoted rook couldn't control 4th file to protect his king. This was a big difference. And then, it proceeded with ▲R*82 △P*42 ▲Rx81+ (Diag.2). ▲Rx81+ was not threatmate. On the next, with ▲G*31 △K-22 ▲Gx21 △K-13 ▲S*22 △K-24, it would not be mated. 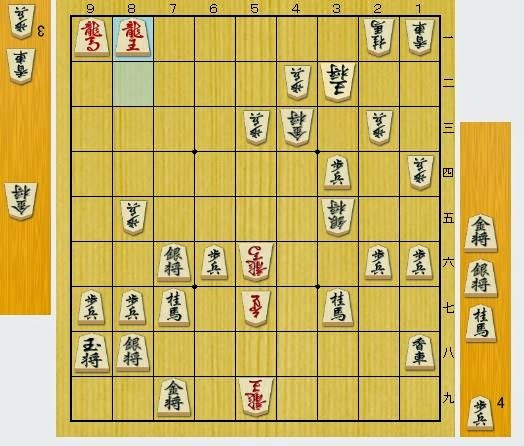 Therefore, it seemed like △G*89 was severe in Diag.2 because this move was threatmate with △Gx88 ▲Gx △S*89 ▲K-99 △P*98, but, the challenger Itodani was preparing ▲G*31 △K-22 ▲N*69 (Diag.3) in the variations. ▲N*69 means that sente removes gote's threatmate and is aiming to gain the gold on 89. If sente gain a gold in hand, the threatmate with ▲Gx21 △K-13 ▲S*22 △K-24 ▲G*25 will occur this time. 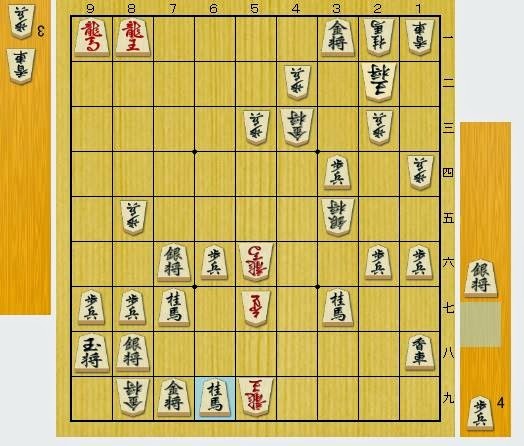 Thus, Moriuchi couldn't play △G*89 in Diag.2 instead of △Gx34. Sente might get a won position at ▲P*59 already. While I was writing this article, the game ended. The challenger won the 1st game. I'm really looking forward to the rest of the match.